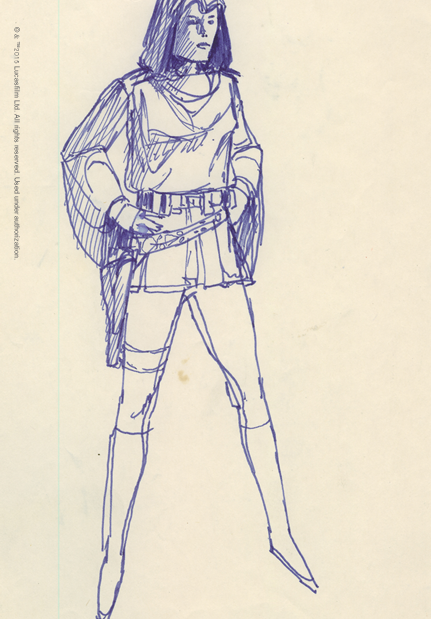 The heroine Princess Leia, who dresses in understated, fairly neutral costumes in the first two classic films, wears extraordinary clothes that reveal the hidden depths of her character in Episode VI, Return of the Jedi. 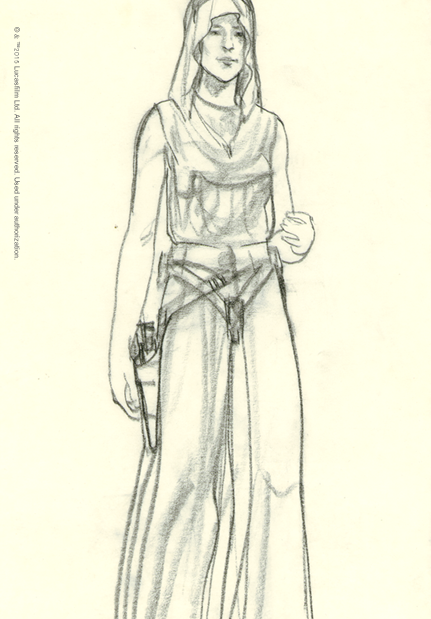 Whether in disguise or donning a uniform, with faces obscured or revealed, there is a duplicity to the clothing worn by Leia and other characters. Nothing is quite as it seems. The costume highlights the marked differences in approach to costuming in the original series vs. the prequels. 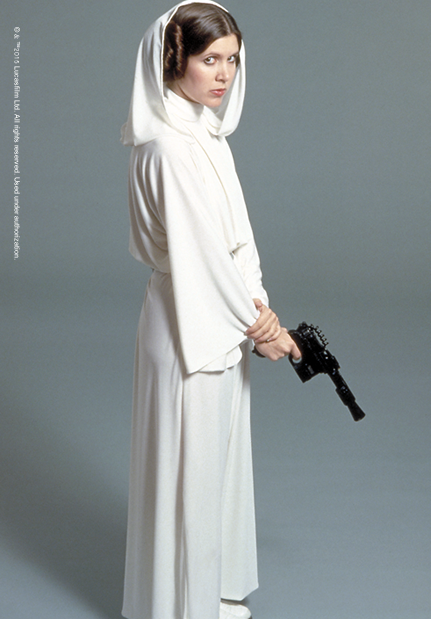 Princess Leia’s simple white hooded gown is a study in elegant simplicity. Costume designer John Mollo had the gown made at Bermans & Nathan’s, a London costume shop, and had an outside prop maker fabricate the belt with the silver buckles on it. "I very scrupulously avoided fashion in the other movies. I made Princess Leia very very simple. No design, no fashion, no nothing. This time (in the prequels) we are walking right into a fashion statement."